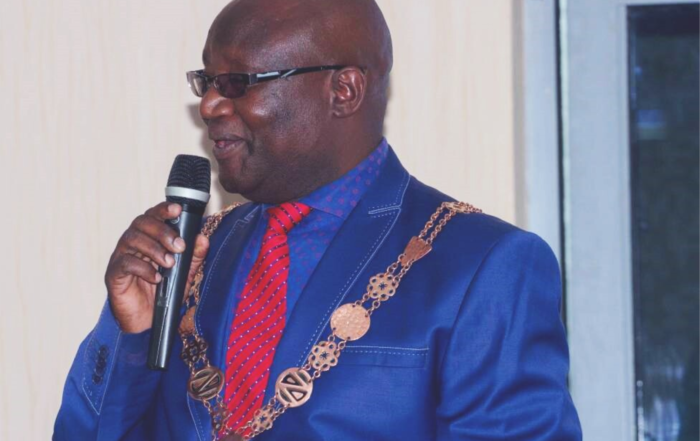 Patriotic Front (PF) Member of Parliament for Bwana Mkubwa Constituency Jonas Chanda said the foreign investor Golden Lay Company, who bought 3,000 hectares of land in Chichele area in Ndola under questionable circumstances, has refused to share part of the land with over 1,000 displaced residents. The land was formerly owned by the defunct parastatal company Dairy Produce Board under UNIP and MMD governments. Dr Chanda was speaking when he addressed over 1,000 displaced Chichele residents on the meeting he had earlier held with Golden Lay Company owner Mr Fletcher, an immigrant from Australia. He disclosed that in his frank discussions with Mr Fletcher, he made a proposal to him to consider parting away with part of the 3,000 hectares of land on humanitarian grounds so that displaced individuals could be resettled. Ndola High Court had ruled in his favour. This is despite the ‘questionable circumstances’ under which the original land title showing 300 hectares was converted to the new title of 3,000 hectares when a Mr Mutambo, former caretaker of the farm, sold the land to Golden Lay and left the country to live in the UK. However, Dr Chanda says he advised Mr Fletcher that the land dispute was not merely a legal issue, but also a moral and political matter. He further informed the meeting that since he has already brought the matter to the attention of Minister of Lands and Natural Resources Hon Jean Kapata, he will now be writing to Republican Vice President Mrs Inonge Wina requesting for government’s intervention in the matter. Meanwhile, the displaced Chichele residents have bitterly complained about their suffering following their displacement from land as it has been a means of livelihood for them through subsistence small-scale farming. They further questioned why foreigners are dispossessing Zambians of their land, and appealed to the MP and Republican President His Excellency Mr Edgar Lungu to urgently intervene in the matter. In response, Dr Chanda reassured the displaced people that the PF government was pro-poor as the Party Manifesto protects poor people from being displaced from land easily. He also says the reason the PF government is in the process of finalising the National Land Policy, the first for Zambia since 1964, is to protect poor people in rural and urban areas, and to ensure an orderly land administration and management system which contributes to sustainable economic development.